There are a lot of power for a photo. Do not say anything many truth can be taken up by a picture. In today's world of media ranging from the film industry, even in private life, as marriage, birthday etc.in ceremonial festival picture stands a part of our life. So strong is the photographer's career in the future that's going to mean. If not the photographer, the photographer will be better. Expensive camera and behind the camera, who are now on the market there is no shortage. If the market goes down, so it is good to learn photography terms, but the seasoned photographer. 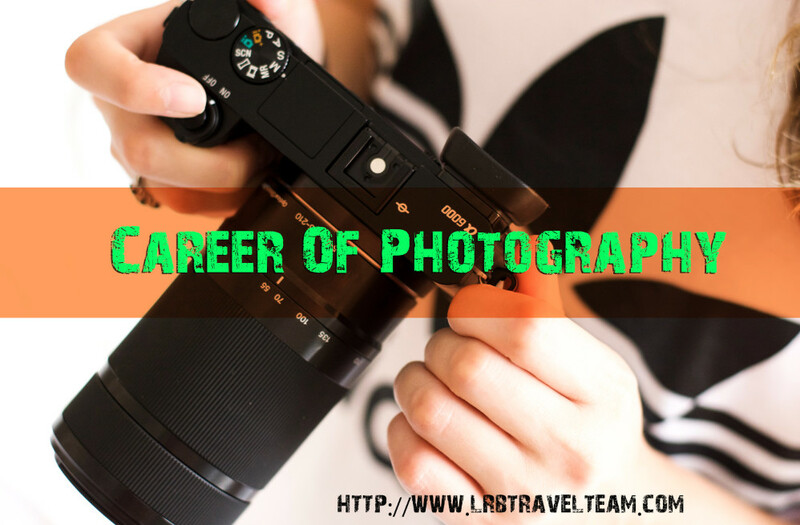 After learning photography there is no problem if do not get any kind of job. Making portfolio or freelancing by yourself can earn. Deferent kind of photographer is working there. one of working field is deferent. .such as fashion photographers shoot fashion Wildlife photographers taking pictures of animals, Industrial photographers taking pictures of the machine, the forensic aspect of the work of photographers from taking pictures of crime, such as murder, the body photographed from a different angle, so that the investigation are easier to see the picture. Scientific Research Work photographers taking pictures again. Nature is beyond the nature of the images. Landscape photographer, place them in a variety of spectacular piece of work, just like the photos. So any photographic be chosen as a profession. Freelance photographers are no fixed salary. 30-35000 money could earn up to Rs 1 lakh from the start. And if the photos are sold privately, if he does not earn any limits. in the primary stage before climbing to Studio photography business should take of short-term training. Computer training, especially in the Adobe Photoshop, Illustrator, lightroom must have good knowledge of a variety of photo editing software. At the same time, you have to buy a better quality camera. Before purchasing the camera to the studio to work on some things that are good to see. The life of a standard camera studios and the studios to increase in popularity. The higher the resolution the better the quality of your photograph. A good resolution camera will give you additional freedom in case of taking photo. As a result, you can print and take pictures clear and large size. For example, the two-megapixel digital camera with a 5-by-7-inch and 3-megapixel camera, you can print photos easily with the 8-by-10-inch prints, which can be up to 4 megapixels in the 11-by-17 inches. Inexpensive cameras often do not have the optical zoom lens. Therefore, an additional resolution zoom camera with the excess cash to buy a little bit more, you will have to deal with grief. The 10 x zoom lens is available in the market nowadays. However, except for sports photography, in general, the use of such cameras do not require much. Many companies optical zoom (zoom in where the subject to move lentil) with digital zoom along with the cast. As a result, fewer pixels in the image is magnified parts or just magnified. The optical zoom and image issues at the same time offering better resolution images zoomed in enough. a lot of time to take Close-shot or the manual focus is locked when manual focusing is required. This option is often low-end digital cameras are excluded. A two-megapixel camera with the highest resolution photo (on 8 May. Or. Memory) 8 to 10 images can be stored. However, with the digital camera is how many megabytes of storage, it often does not carry much weight. For almost all cases, users have to buy a separate memory card. to avoid it by taking pictures some of them transfer this picture into the computer or others storage device. Although it is often a kind of excess can cause trouble. The storage media is currently available in the market Compact Flash, Secure Digital Cards and Smart Media Cards. In addition, some companies, such as Sony floppy or cd used as storage. However, their capacity is usually not too much. The compact disk to store a lot of pictures, but it may be that because of the low performance of the camera. By investing in the knowledge that no one can be the owner of the digital studio.